Gladys Hall - The Friends of Astrology Inc. The Friends of Astrology mourns the loss of yet another of its leaders. GLADYS HALL was our past president, serving in this capacity from 1978 to 1993. She was a Professional Life member of the American Federation of Astrologers, and was also certified as a Hermetician with the Church of Light. In addition to her position as President of FOA, in the early 1980s she also served as a member of the Board of Directors of the AFA. Gladys began her studies in the 1960s with the correspondence course through the Church of Light, and although the process was long and difficult she was elated at having completed the series of lessons and earning her Hermetician certification. For many years she tried to seek out other competent astrologers in the Chicago area, and in early 1973 she came across the AFA. When she called the headquarters she was referred to our (then) President, EDNA CLARK, who invited her to attend the Friends of Astrology lectures. Back in the 1970s lectures were held on the second and fourth Thursdays of the month at the Palmer House in downtown Chicago. Since I, too, was interested in astrology, she called me and asked me to join her in attending her/our first lecture. Together we made the trip into the city, and were both impressed by the quality of the lecture given – as I recall the speaker was Dr. William Davidson, the author of our current Bulletin series of planets in houses! Needless to say we both became members that evening, and thus began her (and my) long association with FOA. With the FOA elections in 1975 Gladys was elected to the Board of Directors as Executive Secretary, and when the Treasurer ESTHER BLADE passed away in 1976 Gladys was asked to take on the position of Treasurer, thus serving in a dual capacity. With the elections of 1977 she was formally elected to this position, and in 1978 with the death of EDNA CLARK, she assumed the position of President. In her first years as FOA President Gladys initiated some significant changes for FOA. Since the organization was founded in 1938, it predated the not-for-profit laws in the State of Illinois (passed in 1943), and FOA was “grandfathered” in under the classification of a “social” organization. Gladys’ first step was to have us reclassified as an educational organization, both with the State of Illinois and with the IRS. This required much paperwork, and submission of our Bulletins as evidence of our educational goals. Following this two-year process of applications, we received formal approval from both and were reclassified under the IRS non-profit guidelines as a 501(c)3 organization – which meant that donations made to the organization were recognized as tax-exempt. This was a major accomplishment, of which Gladys was quite proud, and was unquestionably the most significant achievement of her years as President. In the 1980s Gladys was named to the Board of Directors of the American Federation of Astrologers. She was instrumental in handling the Chicago conventions in both 1982 and 1984. 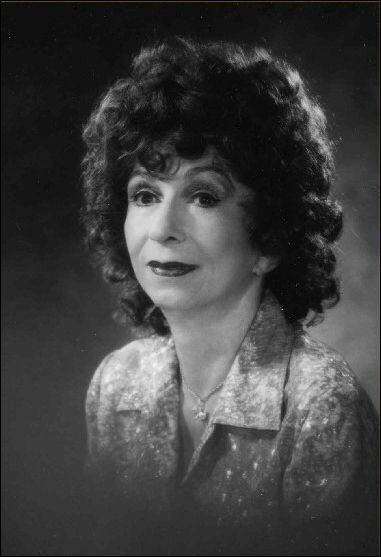 Following the 1984 convention Gladys withdrew from the AFA board, and concentrated her efforts on the development of FOA as an independent corporation dedicated to education in Astrology. This was her primary focus until the end of her Presidency in 1993. During her life she wrote three books, Basic Predictive Astrology (published by the AFA), Achievement Through Astrology and Mundane Astrology (both published privately). In 1980 she gave a lecture to FOA on the history and chart(s) of the city of Chicago – a lecture which was covered by the local press and a review of which was featured on the front page of The Chicago Tribune. During the last decade of her life Gladys’ health was slowly deteriorating, and she focused her attention more on personal issues than on her love for Astrology. In 2004 her condition required that she move to an assisted living facility as her health continued to decline. In early 2006 she was diagnosed with cancer; at the beginning of April, despite treatment, her condition became critical and following a brief stay in hospice she passed on April 15. For those of us who knew her, we will remember her infectious laughter and Leo-like style of leadership. Her contributions – to FOA, AFA and the astrological community – are indeed noteworthy. Her books will stand as a lasting memorial to her astrological knowledge and ability. We mourn her passing knowing her efforts have helped both those who studied and worked with her, and her achievements have laid a permanent foundation for the future growth of FOA.